A Kant- workshop is taking place today and tomorrow at the New Europe College - Institute for Advanced Studies, in Bucharest (Romania), on the "Knowledge of Transcendent Objects". 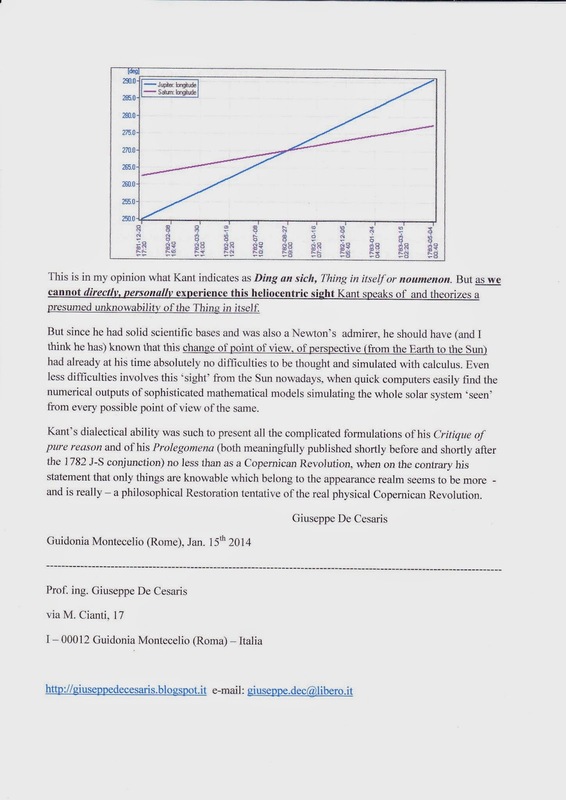 The two pages you can see here are the Abstract I sent on January 15th, 2014 to try to partecipate to the said workshop. A very kind email of the workshop director, dr. I. Trisokkas, informed me on Jan. 23rd that the competition for the few available slots had been intense (47 abstracts for only 4 non-reserved places) and not successful for me. "The overwhelming majority of the submitted abstracts was of extremely high quality, making thus our decision which ones to choose an immensely difficult one." 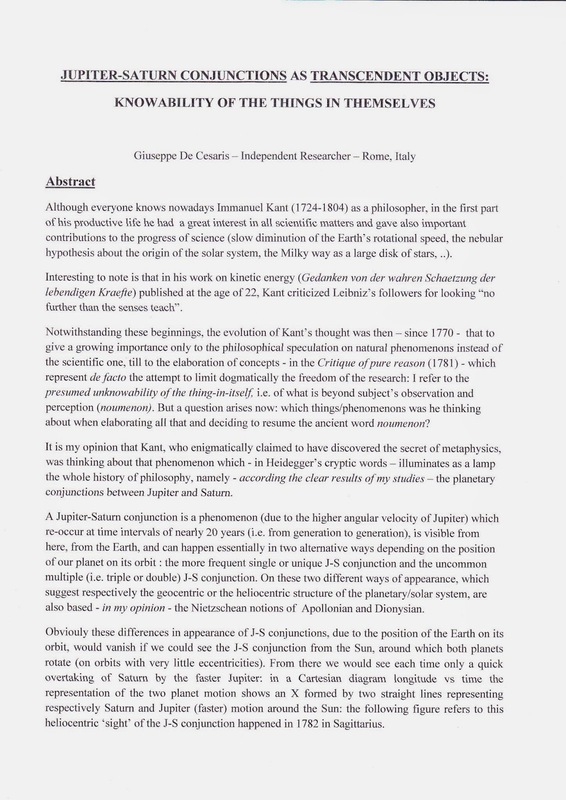 Hoping that all readers (particularly the kantian ones) will appreciate it, I've decided to make known here my thoughts about the by-Kant-presumed unknowability of the thing-in-itself and about Kant's tentative of philosophical Restauration of the real Copernican Revolution.